Home >> News >> How does waterjet cutting work? 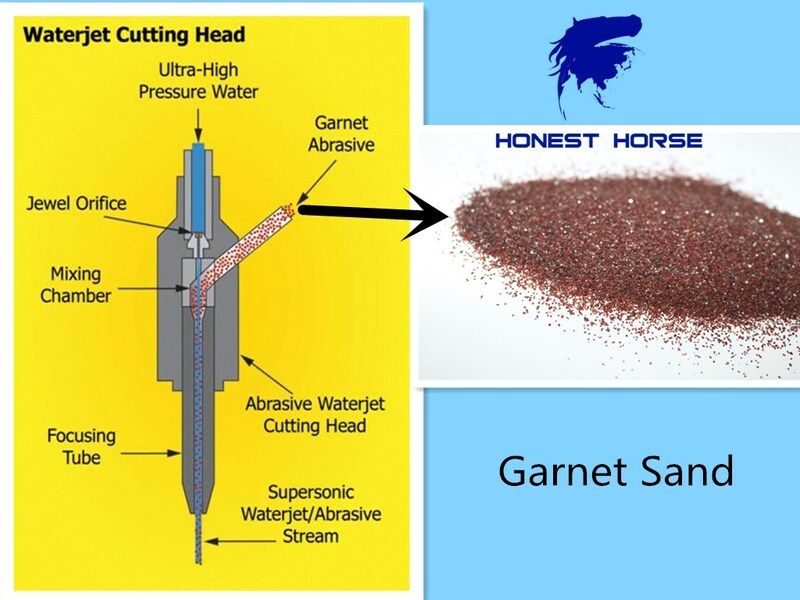 The waterjet process is a mechanical sawing process.garnet is by far the most common for metal plate cutting.Garnet is also commonly used on sandpaper, and is a relatively hard rock. But just pouring sandy water onto a metal plate will not cut it. What makes it work is the speed at which the abrasive is hitting the plate. Forming of the water stream by the jewel orifice and mixing of the abrasive garnet sand into the stream .Once it exists the focusing tube, you have a supersonic stream of water and abrasive that will quickly wear its way through virtually any material, including aluminum, steel, stainless steel, armor plate, granite, tile, laminates, and even glass..
Because each abrasive particle garnet sand only removes a tiny amount of material by erosion, very little heat is generated. Also any heat that is produced is quickly quenched by the water stream before it has time to heat the surrounding material. Not only do these fast moving abrasive particles cut without any heat affect zone, but the momentum of the water stream keeps them moving in a straight line long after they exit the focusing tube, resulting in an extremely straight, accurate cut edge on many different materials.